Nurturing Men into a loving relationship with God's Son, Jesus Christ. Equipping men to use their God-given spiritual gifts. Serving men by building strong relationships. By God’s design and Jesus’ example, men are called to be servant leaders in their home, church, and community. 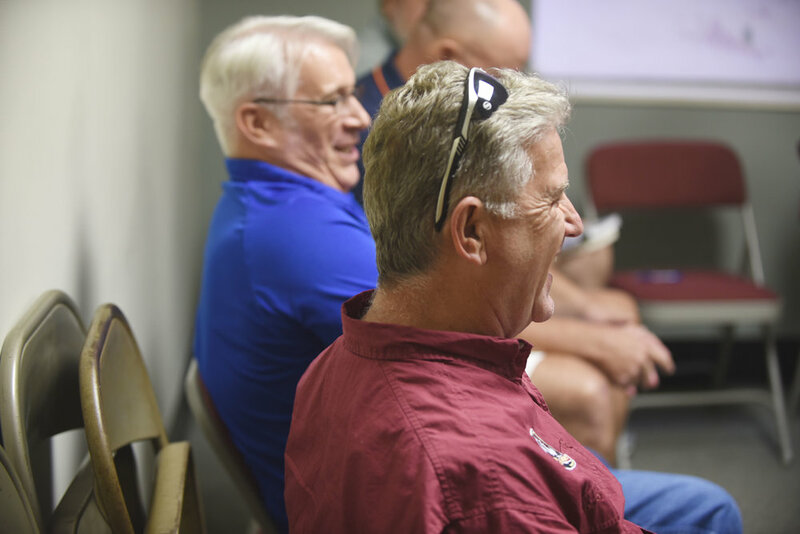 At First Baptist Church, the Pointman Men’s Ministry is one ministry where all men have an opportunity to use their giftedness to serve others. There are a host of opportunities available to all men. Some activities are strenuous, some are not. Some are inside, others are not. Some require skills, others do not. Regardless of your time and physical limitations, we have a place for you to serve. We encourage all men to be a blessing to others and accept the mantle of servant leadership and join FBC’s Pointman Men’s Ministry. PARKING MEETERS The parking ministry provides the critical first contact with members and guests as they arrive at our campus. By helping people locate places to park, offering a warm greeting, & escorting visitors to the worship center or welcome desks, this “first touch” greeting can make the difference in whether a person feels welcomed or not. If you are interested in serving on a Parking Meeter Team please contact Bob McDonald at RMcdonald@ara.com. HELPING HANDS The Helping Hands Ministry is a group of men that assist with projects both in our church and in the community. They provide help through remodeling efforts, landscaping needs, and general tasks that augment the church maintenance staff with a labor pool. The Helping Hands Ministry disciples our neighbors within the community by easing the financial burdens of widows, widowers, and community organizations that request assistance. If you are interested in serving on the Helping Hands Team please contact Jerry Forehand at cjforehand72@man.com. 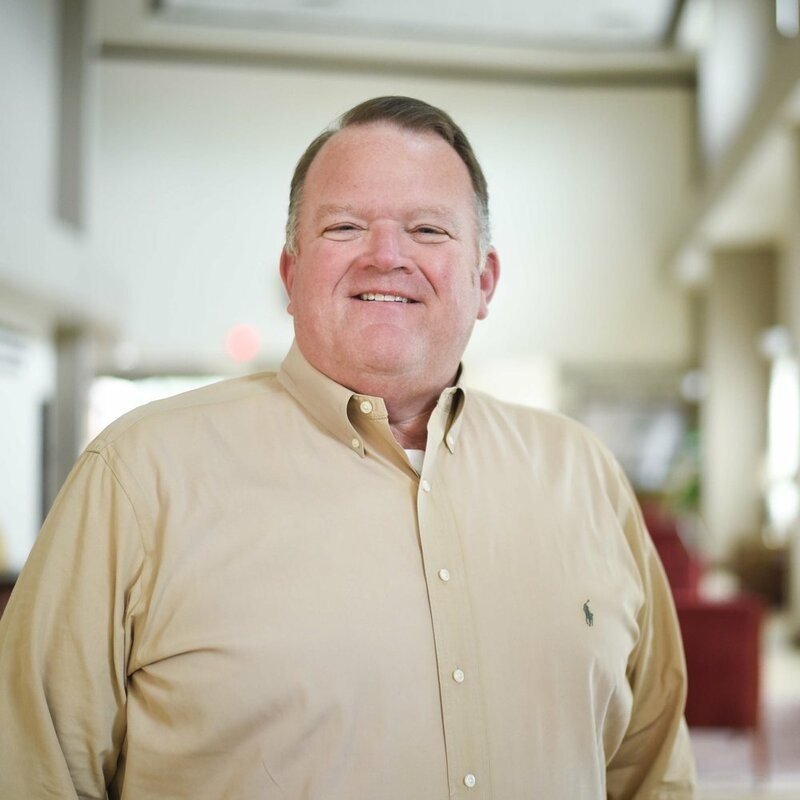 All requests for assistance should be directed to Mark McQueen at mmcqueen@firstbaptistpc.com. SANCTUARY CARE The purpose of the Sanctuary Care Ministry is to clean the Sanctuary and surrounding areas after the weekly worship service is held. In addition, the Sanctuary will be cleaned after any special usage that requires follow-up cleaning. This ministry’s service is designed to allow the FBC PC maintenance and housekeeping staff to focus on other areas needing their attention. If you are interested in serving on a Sanctuary Care Team please contact Larry Brown at shinnytile52@gmail.com.